Oh, the end of July. Until this year, it only meant that we were getting closer to my favorite season, fall. But this year is different. My daughter is starting kindergarten this year. I’m a little distraught, because am I really old enough to have a kid in school? I digress; sorry. With Elliott starting school in less than 3 weeks (eek! ), I can’t help but to think about education. Well, actually, I think about education all the time, because, it’s kind of what I do. But this year is different. This year it’s occupying nearly every waking moment. As Elliott was being incredibly indecisive about her backpack decision in the store last week, I started gazing around at the other parents. I wondered what their fears were about sending their children to school. Were they worried their child would be made fun of? Were they concerned that their child wouldn’t be able to keep up? Or were they worried that their child would bring home homework, need help, and discover that their parents couldn’t read well enough to help them? Unfortunately, this last fear is very real in many parents’ lives. And it breaks my heart. If I had gotten my letter to Hogwarts and could successfully perform magic, like Harry Potter, I would make this fear go away. I would make the stigma of being a low-level reader go away – make people realize that an adult that doesn’t read well isn’t stupid. I would also wave my wand over the world and repeat the easy reading spell, readimintum, so everyone would have no trouble reading whatever their hearts’ desire. But that is a fantasy. I never got my letter. I never had a wand choose me at Ollivander’s. I’m just a (young-ish) mom that is lucky enough to get to work with some of the hardest working and most determined group of learners that are in Southwest Indiana. But there are so many more that need our help that aren’t getting it. If you work with the public, or are simply just observant of people around you while in public, odds are you will encounter at least one person a day who is a struggling reader. Would you be able to recognize their struggle? They may say that they forgot their glasses and ask you to read something to them. They may ask clarifying questions, even when the answer is in print in front of them. They may hand any written materials to someone else to read or view. The sad truth is that finding adults that don’t read well is easier than them finding us. 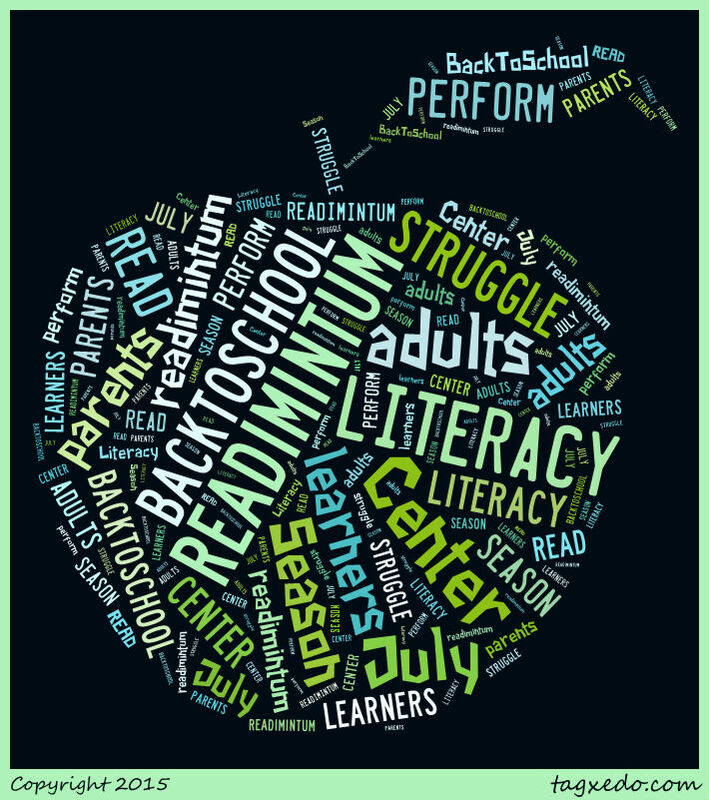 Many struggling readers don’t know we exist. Many may not know there is a safe, free place they can go for help. We have numerous students who are here because someone else told them. 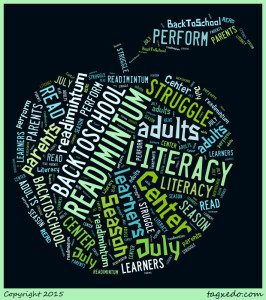 With the Back to School season upon us, now is a perfect time to come to The Literacy Center.